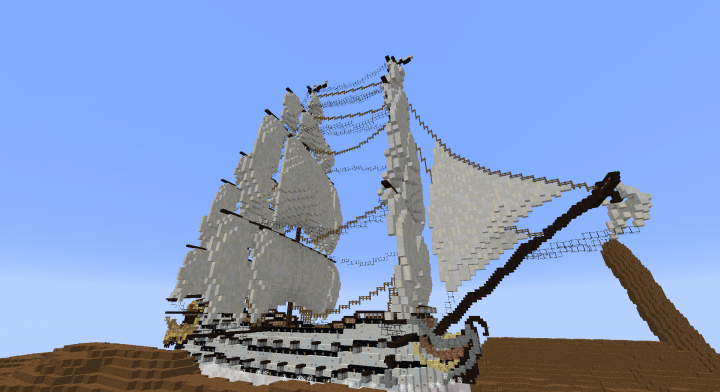 I bring you yet another beautiful new ship, nicely detailed, with a lot to offer. 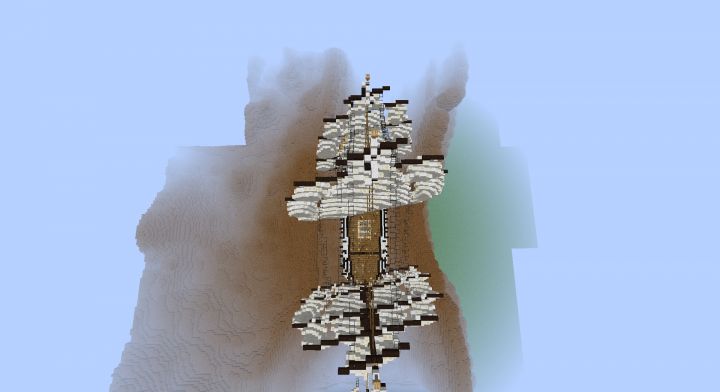 With a nice interior, and polished exterior, plus many painful hours, around 20-30+ total, I give you the Krakens Tooth! 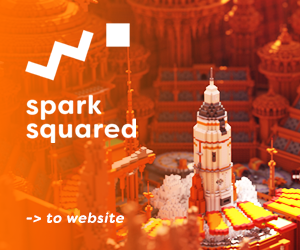 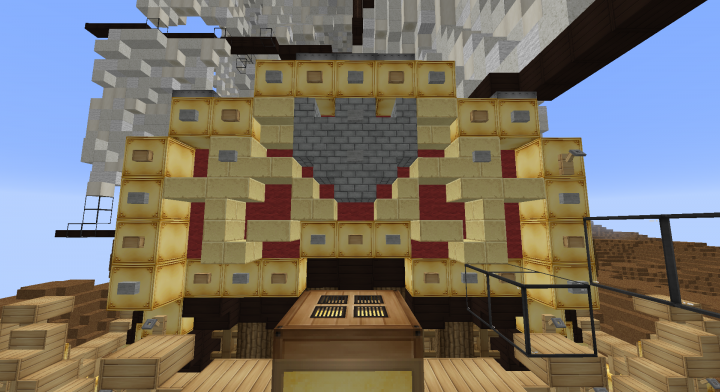 Lot's of refining and redesigning went into this. 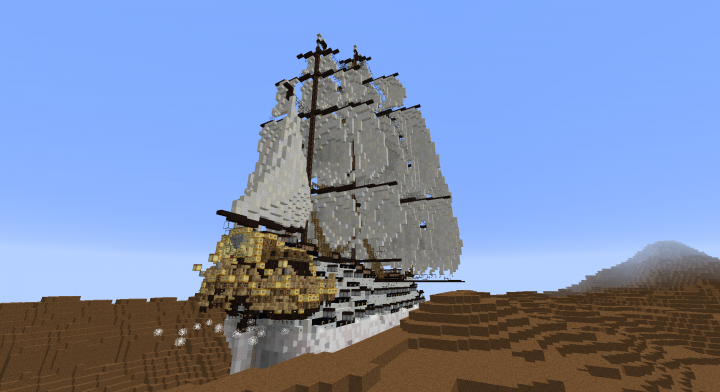 I decided to build this ship on a creative server for a bit of a change, and boy did it pay off! 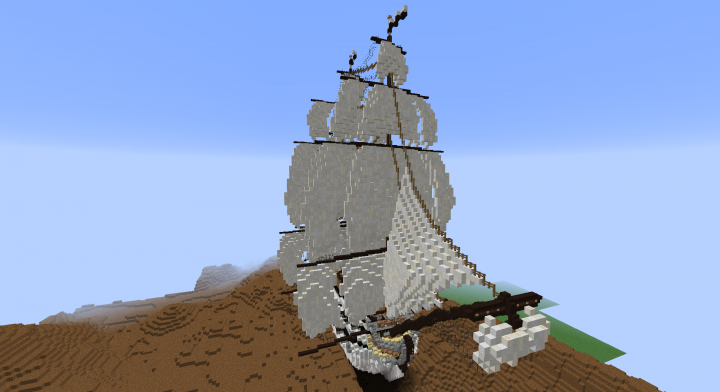 While it was challenging due to lag spikes and bad internet, it wasn't impossible. 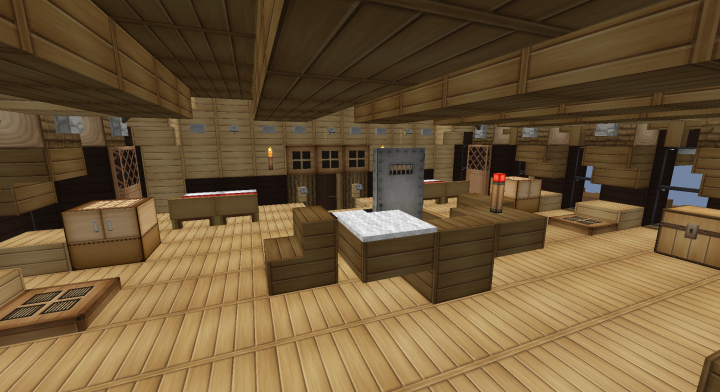 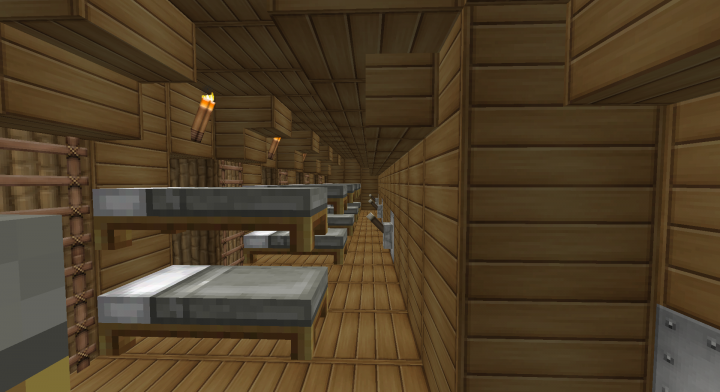 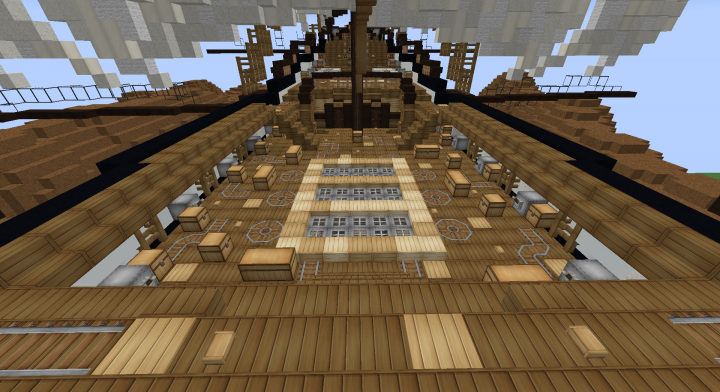 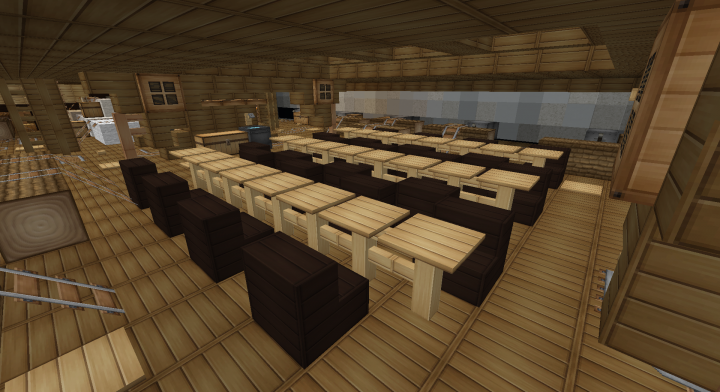 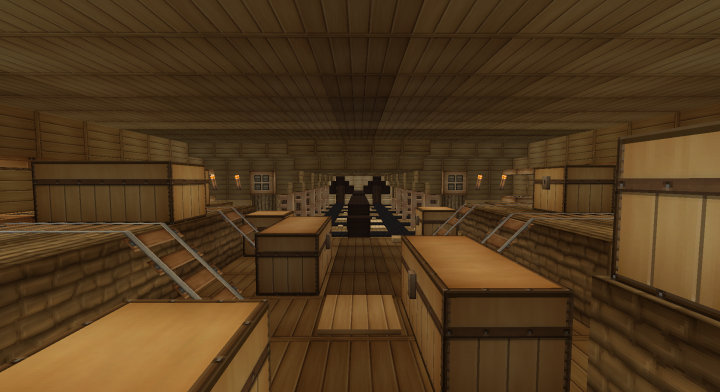 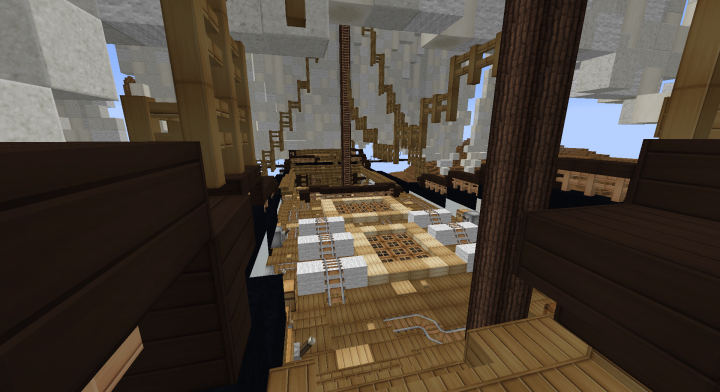 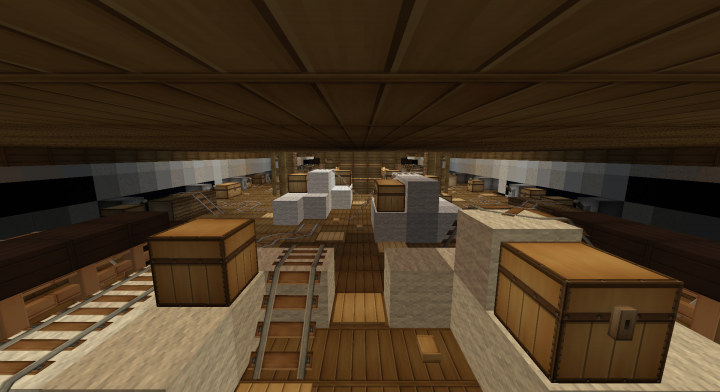 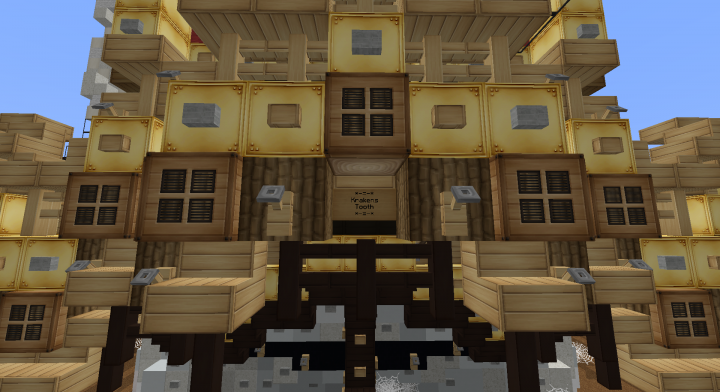 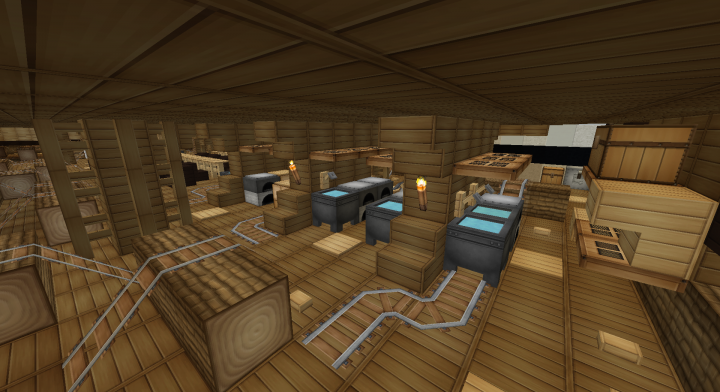 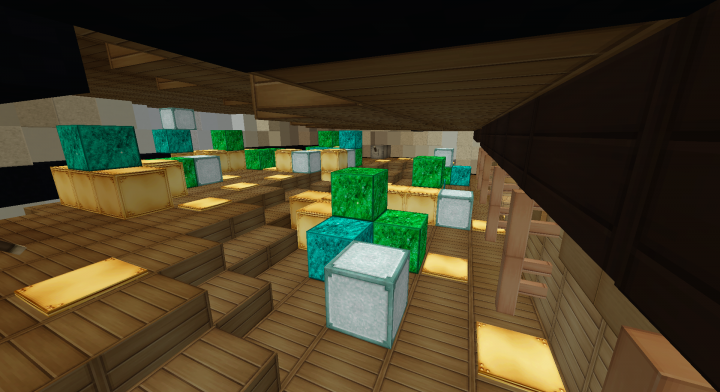 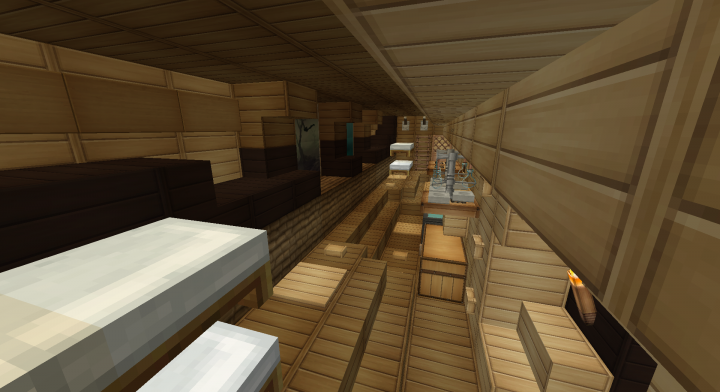 - This ship uses the server texture pack 'Edawg878'. 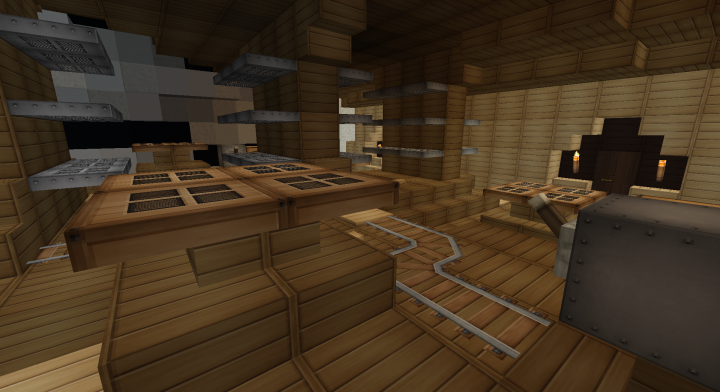 - Optifine with shaders is supported, and optional.